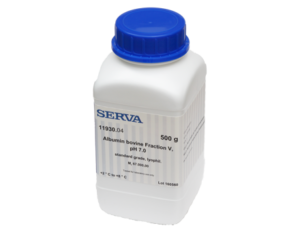 Protein-free, polymer-based blocking reagent, delivered as a 10x concentrate. The purest form of Serva's bovine albumins. Contains no crystallizing agents or contaminants.